Erected 2014 by William C. Pomeroy Foundation. Location. 43° 10.459′ N, 73° 19.687′ W. Marker is in Salem, New York, in Washington County. 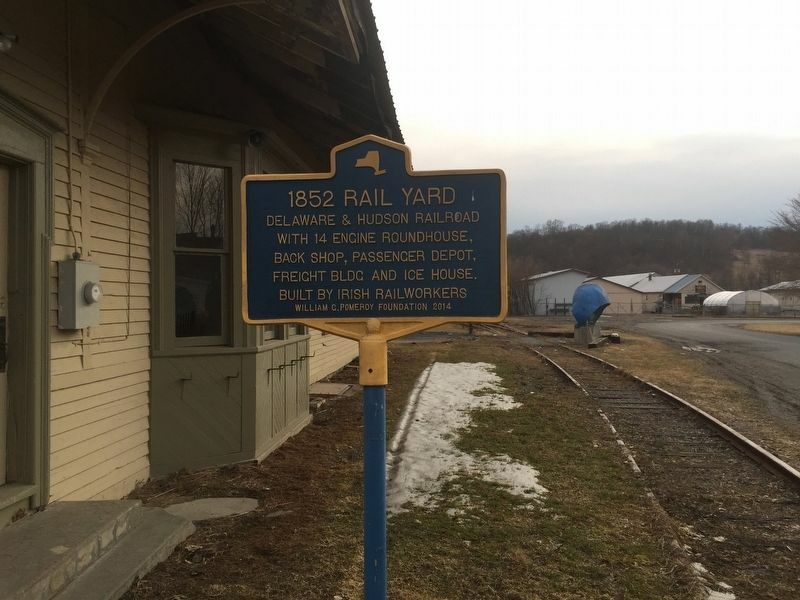 Marker is on North Main Street (New York State Route 22), on the right when traveling south. Touch for map. 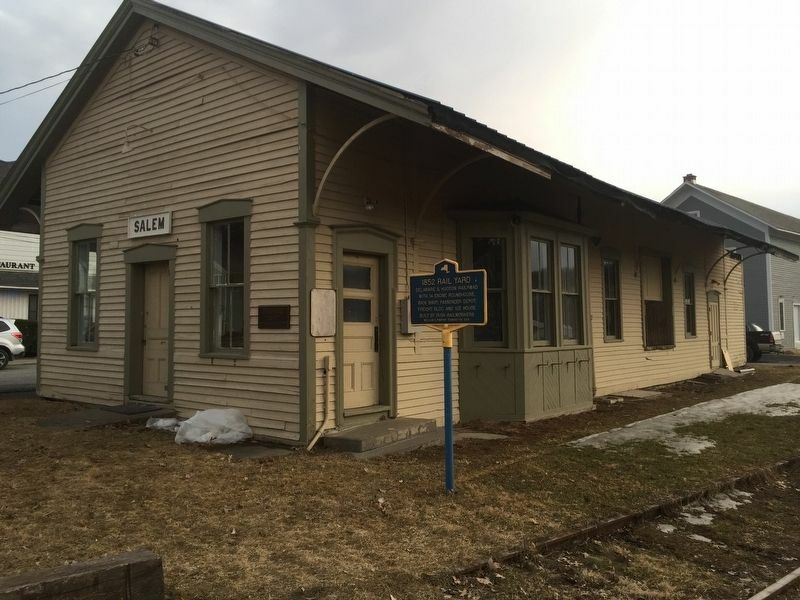 Marker is in this post office area: Salem NY 12865, United States of America. Touch for directions. Other nearby markers. At least 8 other markers are within 3 miles of this marker, measured as the crow flies. The White Creek Fort (about 800 feet away, measured in a direct line); Old White Church (approx. 0.2 miles away); General John Williams (approx. ¼ mile away); Lest We Forget (approx. 0.3 miles away); Stockaded Fort (approx. 0.3 miles away); Revolutionary Cemetery (approx. half a mile away); Rexleigh Covered Bridge (approx. 3.1 miles away); Home and Laboratory of Dr. Asa Fitch, Jr. (approx. 3.1 miles away). Touch for a list and map of all markers in Salem. More. Search the internet for 1852 Rail Yard. Credits. This page was last revised on April 1, 2019. This page originally submitted on March 31, 2019, by Steve Stoessel of Niskayuna, New York. This page has been viewed 99 times since then. Photos: 1, 2. submitted on March 31, 2019, by Steve Stoessel of Niskayuna, New York. • Bill Pfingsten was the editor who published this page.